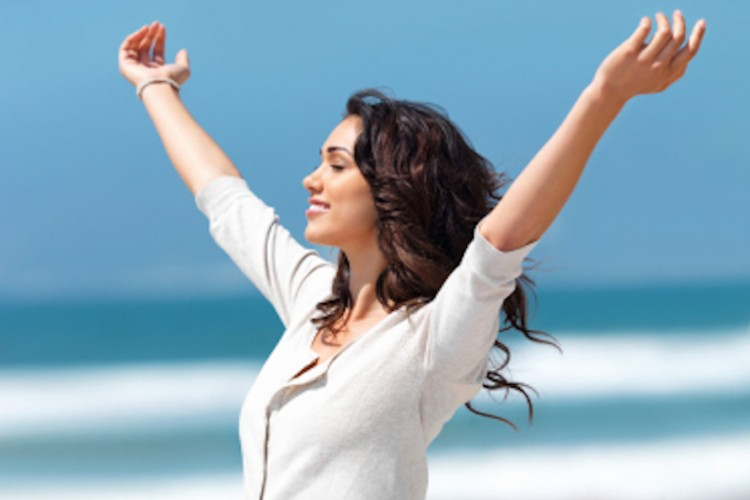 Live Smoke Free and feel the results just after 1 session of our easy 2-step program. Step One– Treatment uses photo bio-stimulation in combination with auricular (ear) therapy points to break the physiological addiction to nicotine. Step Two– Easy to Follow ground rules help you break through the psychological habit of smoking and establish new behaviour patterns that support a permanent smoke free life. This non invasive treatment that uses a low level infrared laser by stimulating Acupuncture points within auricular therapy. The body immediately responds to treatment by the interaction at a functional and emotional level. This procedure is painless, effective and a feeling of relaxation and well-being is often felt. Most important is your desire to quit. No matter how much you smoke, or how long you have been smoking, the low level laser treatment is a safe and painless method to help you quit. It’s safe! A low powered diode laser is used. There is no danger, no risk in burning, numbing, cutting or destroying tissue. Breaks the physiological addiction to nicotine. Treatments provided by Registered Healthcare Professionals. Health Canada approved, low level laser. Can’t cut, burn or damage the skin. Treatments mainly provided on the ears and a few other Acupuncture points throughout the body. Nowithdrawal, no cravings, no weight gain, no pharmaceuticals. Booster sessions are available for binge eating, mood swings, anxiety/depression grief, or smoked. May be covered by extended health care insurance companies. Success is defined after not smoking for 90 days. Do Not test your willpower by smoking: there is no such thing as a safe puff: It will not work. You will start smoking again. You cannot be a part time smoker. Just one hint of nicotine in your system and your body will return to the habit.Awareness is your best tool!Be aware of the circumstances around you that triggered the need For ten days avoid situations that make you want to smoke (e.g. coffee and cigarette in am). The physiological addiction will be broken and the body will not need or crave nicotine. It is a simple realization that if the body is not asking the mind should do other thingsRemove all evident of smoking. Clean your car, home and office thoroughly. Suggestion: use a professional cleaner for carpets, painted surfaces, drapery and clothing. Wash all ashtrays and put them away. Change your routine break the mental ties for the next ten days. Make new routines Brisk Walk – increases cardiovascular levels and stimulates endorphin release. Move – move from where you are, it breaks the tension and focus of the psychological urges. Avoid boredom, keep busy and focused. Talk about it, with friends and family especially with friends about how you quit smoking. If you have an urge to smoke, drink water, go for a walk and breathe deeply. Often the urge will pass. Don’t forget why you quit smoking. Seek and ask for help if needed. We just a phone call away. If you should experience any difficulty, please call. Follow up support is just a call away. If you don’t call, we can’t help. Booster treatment may be required. Q: What is laser therapy? A: It is a process in which an infrared laser linked with biostimulation, which is a low level light beam is used to stimulate the acupuncture points responsible for reducing the physical addiction to cigarettes, curbing the appetite, as well as reducing stress. This has a direct effect on the brain communication with a specific outcome that breaks the addiction to nicotine. Q: Is it safe? A: Yes! The laser is a laser diode in the visible light spectrum. We use this low level laser so that there is no possible danger or risk involved. The laser is just strong enough to cause mild simulation of acupuncture points – it does not burn, numb or destroy. The treatment is non-invasive and drug free. Q: Does it work? A: Yes. InCanadawhere laser therapy was first introduced for smoking cessation over twenty years ago, there is a consistent success rate of 80%. Used specific protocols that work. Q: Is it a reliable method? A: Yes. The method has been proven reliable. However, we are all individuals and the degree of psychological dependence is stronger in some people. The client must have the desire to quit smoking and come for a support booster if necessary. Q: Are there any side effects? A: No. The treatment is completely safe and harmless. The laser cannot damage any part of the human skin, nerves, muscles or bone. A slight light-headedness may be experienced following the treatment, which gradually passes quickly. However, there are side effects to giving up smoking. Those effects can range from binge eating to a feeling of loss even to appoint of anxiety or even panic. These effects have nothing to do with the treatment. They are a result of giving something up that is used as a trigger diversion or self soothing in stressful situations. Q: Is laser therapy painful? A: No. Most people feel nothing at all apart from those who notice a slight tingling sensation. The treatment has been described by most of our clients as extremely relaxing and pleasant. Q: Will I gain weight when I quit smoking? A: With the Laser treatment we also touch on appetite suppression points in order to help the client avoid replacing cigarettes with food. The issue of binge eating is supported by using one of the follow-up boosters when the client returns for the follow-up session. Q: What should I do before having laser therapy to stop smoking? A: You must make the commitment to yourself that you are going to break the cigarette habit and enjoy the rest of your life smoke-free! We recommend cessation from smoking a minimum of two hours before the treatment.